Despite what my window tells me, it is in fact summer time! 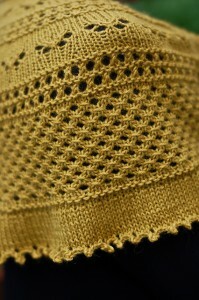 It’s no surprise that one of the most popular patterns right now is the Summer Flies shawl by Donna Griffin. 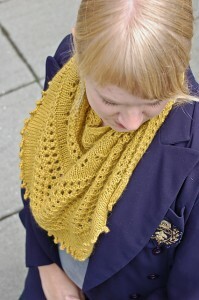 It’s a pretty aran weight shawl with several different lovely stitch patterns. The texture is fantastic and I love the little butterfly motif. 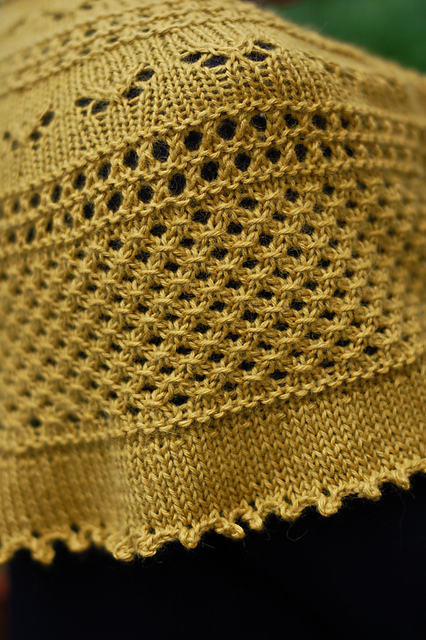 Kynna had hers draped over a chair in my living room and I immediately wanted to knit one for myself! 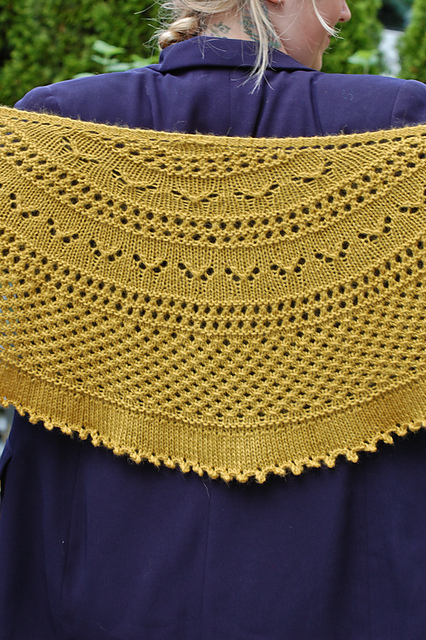 I am thinking that an aran weight shawl seems impractical for an average summer (in Vancouver anyways) but really it’s ideal. 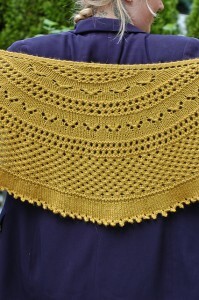 I have spent many evenings walking, watching frisbee games, camping, or just chilling on the patio in the evenings this summer and a shawl is just right. It’s stylish and warm so the party doesn’t have to end early. Kynna knit hers up in Aslan Trends Royal Alpaca (I think she’s knitting everything up in this yarn, it’s become a bit of an obsession Kynna….). The mustard yellow gives it a kind of retro vibe, which is perfect since Kynna is the only person I know who can really rock a blazer with a crest. This entry was posted on Friday, July 15th, 2011 at 12:52 pm	and is filed under Uncategorized. You can follow any responses to this entry through the RSS 2.0 feed. Both comments and pings are currently closed.